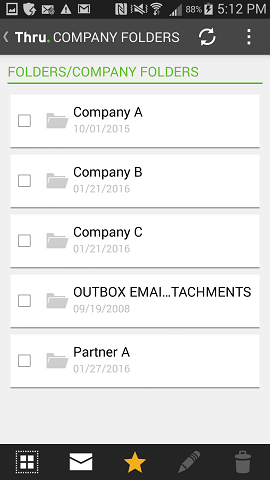 Touch folders and subfolders to open them and view contents. 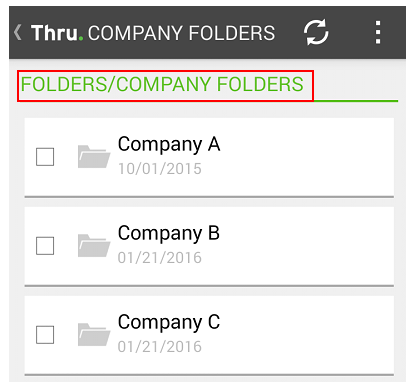 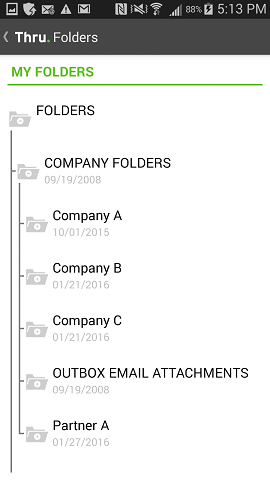 The folder path will be listed above the folder tree as you navigate through the file system. 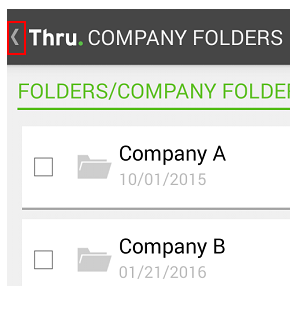 To go back to a previous folder you can do any of the following: Touch your device’s back button, use the arrow in the top left corner, or touch the folder path to choose a specific folder.